Verify Tractor output, and fully test the lighting system of a pup trailer rear socket. 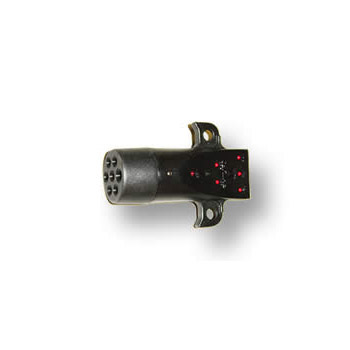 This product is designed to test the output of SAE 7-pole sockets, such as those found on the back of the Tractor and Pup Trailers. The second pup depends on it!